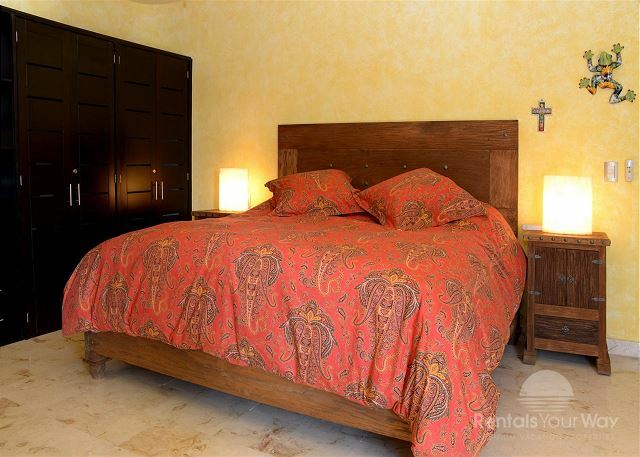 This Playa del Carmen vacation rental is decorated in authentic Mexican style with hand-carved wooden furniture throughout and will become your grand hacienda-style home away from home! 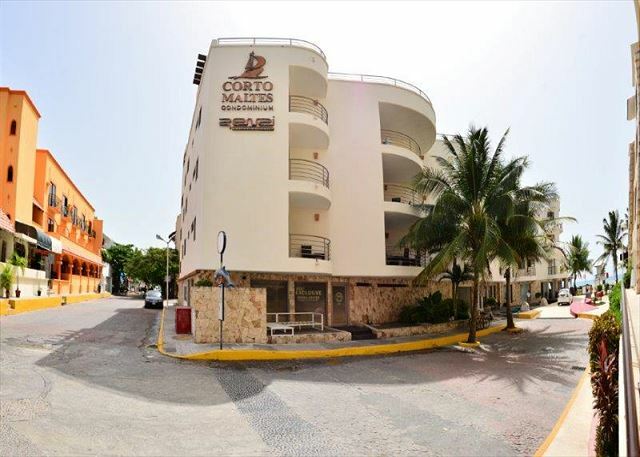 Situated on the top floor of a modern complex of only 15 suites; located steps away from the water & within a block of endless dining & shopping options on 5th Avenue! 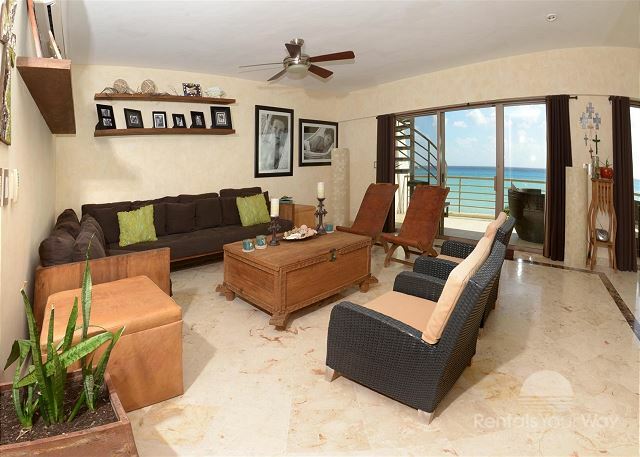 Wall-to-wall windows in living & dining area command uninterrupted views of the calming Caribbean & the distant lights of the island of Cozumel. 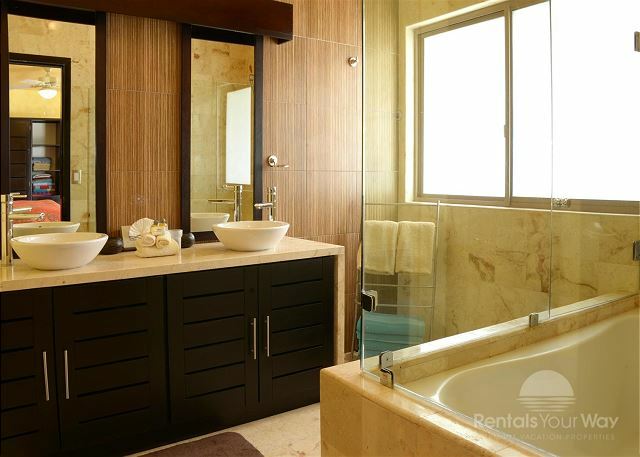 Stunning & spacious private rooftop terrace. 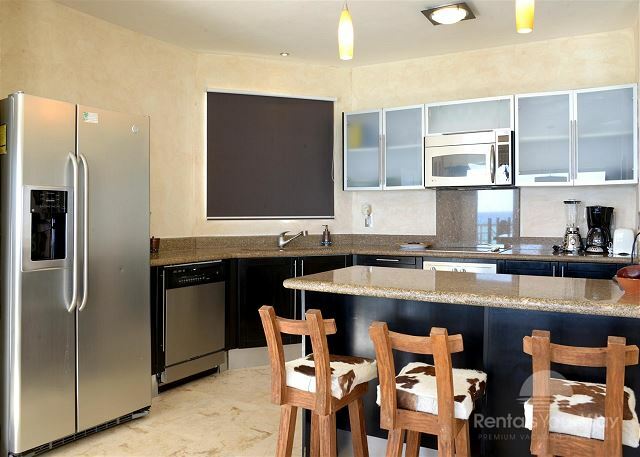 Easily accommodates large parties--spacious living area and beautiful kitchen outfitted w granite counter-tops, wine fridge, bar area & dining table that seats 6. 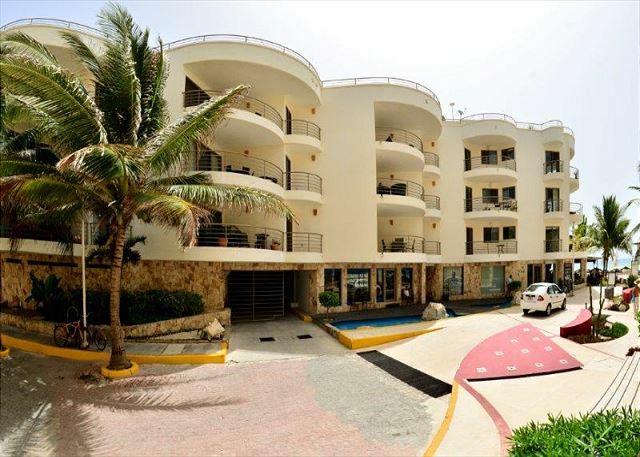 Modern convenience complemented by charming Mexican touches to truly put you at ease. 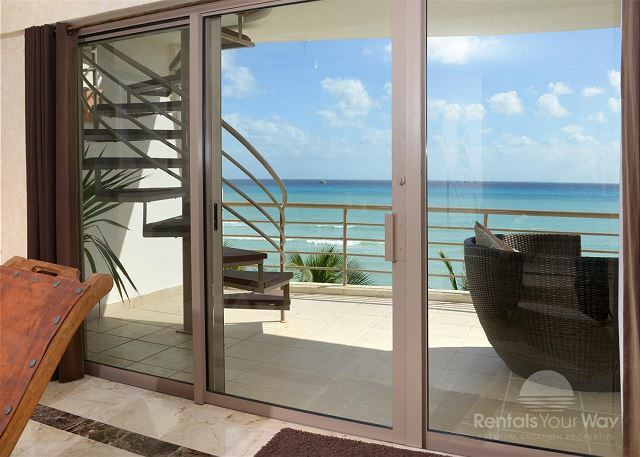 Enjoy views of the quaint El Faro lighthouse from soaker tub in Master Bedroom en-suite. 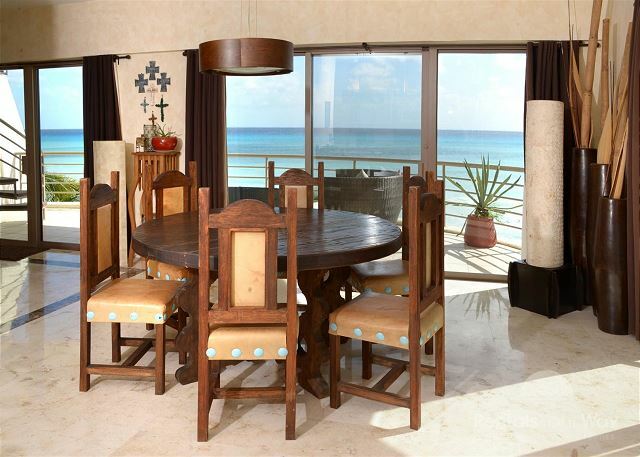 Features exclusive panoramic beach-view terraces off dining room, living area & both bedrooms--prepare to be amazed! On-site parkade with 24-hour security. 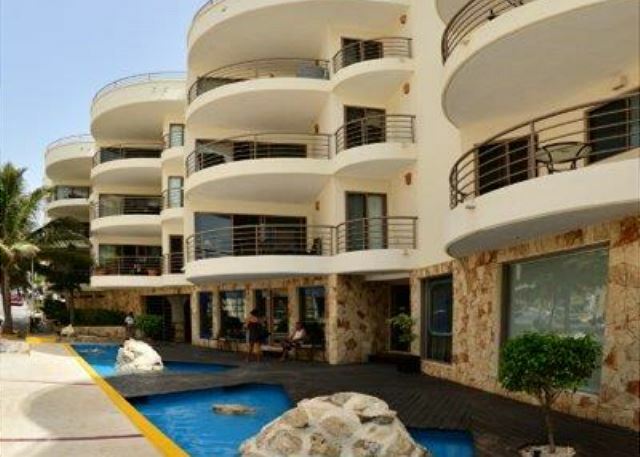 Gorgeous beachfront pool accessible at neighboring property. 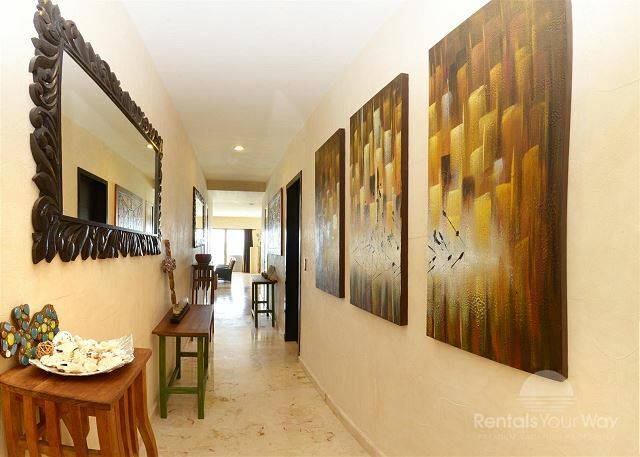 A luxurious, convenient condo nestled in the heart of Playa del Carmen!